For Immediate Release: Posted On 7/26/2016 By Industrial Magnetics, Inc.
Industrial Magnetics, Inc. recently announced a new line of pre-engineered, certified and ready-to-weld standard padeyes for manufacturers looking to improve product time to market. For manufacturers whose product design requires a padeye, a great deal of time and expense can be incurred in the process of engineering, fabricating, machining and certifying their own lifting padeyes in-house. By offering pre-engineered, certified & ready-to-weld padeyes, IMI aims to help these manufacturers speed up the production, testing, and approval processes, expediting the delivery of their finished product to market. 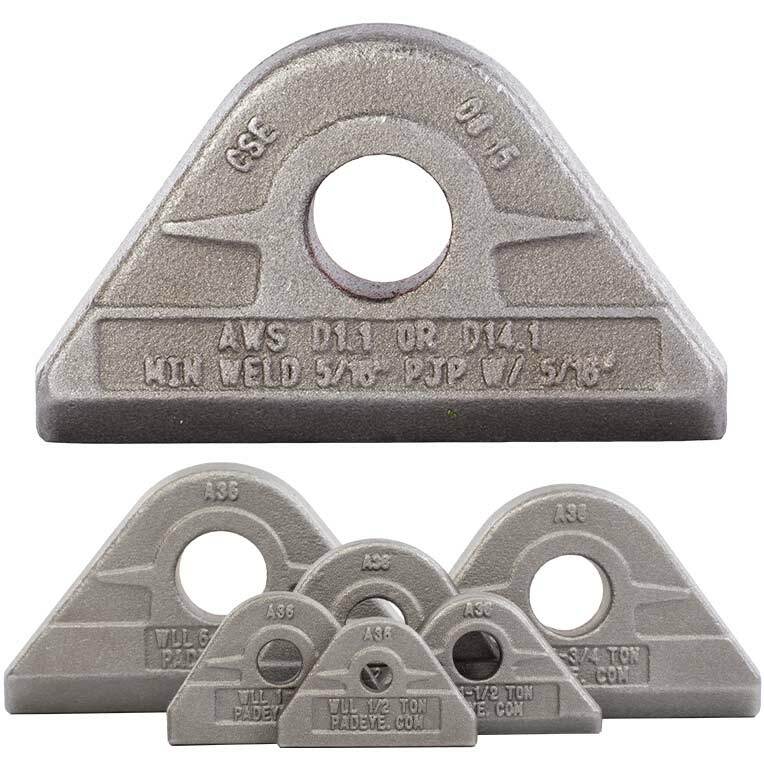 Composed of A36 carbon steel and available in 6 standard sizes, the padeyes are rated for 1/2 ton up to 6-1/2 tons and come with a reamed hole to fit a shackle pin/bolt(sold separately) at +/- .001". The padeyes also feature a date code and a guided weld line, as well as listing both the requirements for the weld specification/type and the welder’s qualifications. Specific product and application questions can also be directed to 888.582.0822.